This is a First edition copy of the novel, which was limited to 1,000 copies. Pequod Press published this novel in 2003. 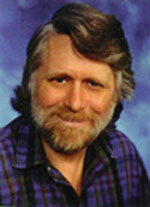 The artist for the dust jacket artwork is Alan Gutierrez. No visible damage or markings to the pages or dust jacket. This novel was added to the Carr Collection by the Friedsam Memorial Library. A hardcover, 1st edition copy of Carr’s Siege of Tarr-Hostigos. In a signed note dated 1/30/2012, Carr writes, “This copy of Siege of Tarr-Hostigos was my reference copy. All noted errors & typos were included as well as those noted by readers.” The volume’s text bears editing marks in black ink. Many of the edited pages are marked with blue or green flags. Several documents were found stored in the volume, folded in half. These documents included correspondence between Carr and his editing team, as well as a printed checklist of corrections to be made to the text. Note: The book is shelved with other novels in the Carr Collection. The documents found in the book are filed in Carr-18-01. A sample set of pages illustrating the typesetting for Siege of Tarr-Hostigos. Included is a copy of the text to be used in the dust jacket of the novel, with corrections. Three lists of corrections to be made on Siege of Tarr-Hostigos. One list is noted as being from Jim Landau. Each list bears check marks written in ink next to each item. A letter written to John Carr by Jim Landau, discussing concerns and corrections to Siege of Tarr-Hostigos. The letter was stored in a file folder labeled “Landau ‘Siege’”. A collection of documents related to Siege at Tarr-Hostigos, by John F. Carr and Roland Green. The file contains a partial manuscript of the novel, in addition of a set of typed comments by Jim Landau. A partial photocopy of a manuscript of Siege at Tarr-Hostigos, by John F. Carr and Roland Green. The manuscript bears multiple editing marks. This document is dated between 1985 and 1988, it is the second half of the original "Gunpowder God" that was to be the sequel to Great Kings War. This became the basis for the "Siege at Tarr-Hostigos" in There Will be War: Armageddon. This was later rewritten and expanded to become, the Siege of Tarr-Hostigos. The final draft of "Siege at Tarr-Hostigos" novella for There Will be War: Armageddon. This novella by Roland Green and John Carr is dated circa 1988. Photocopy of a "Siege at Tarr-Hostigos". This is the version that appeared in There Will Be War: Armageddon. This undated document contains a random assortment of pages from the Siege of Tarr-Hostigos. Corrections have been made in both red and blue ink. This folder contains emails between John Carr, copy editor Christian Corley and Del Lemond. Emails include suggested changes to elements of the story. This folder contains emails between John Carr, Elisa Mitchell, Cyndi Monticrief, and Merald Clarke. These emails contain information on pricing for maps to be put in Siege of Tarr-Hostigos. Also contained are discussions of other artwork to appear in the novel. Early copyedited version of part of the Siege of Tarr-Hostigos copyedited by Christian J Corley. All of Corley's corrections appear in red. This folder contains early drafts and outtakes of a Siege of Tarr-Hostigos dated between 2002 and 2003. Corrections have been made in red and blue by unknown editors. The final working copy of the Siege of Tarr-Hostigos that was sent to David Johnson for comments and corrections. All notations are made by him with an approximate date of 2002. Entitled, "Fall" this is a draft of the Siege of Tarr-Hostigos with edits made by an unknown person. Some pages are missing in this draft edition. Another edited version of the Siege of Tarr-Hostigos with both pages missing and the editorship unknown. This starts on page 395 and ends on page 539. Edited version of the Siege of Tarr-Hostigos beginning on page 261 and ending on 611. Pages are missing and various red editorial marks are shown with an unknown editor. 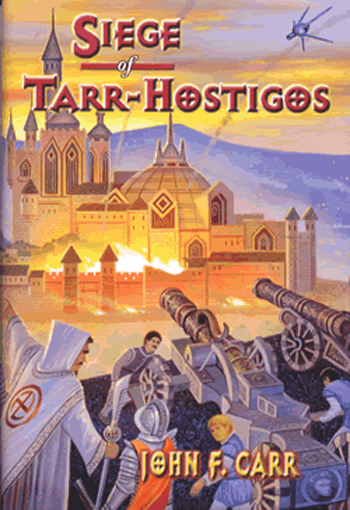 This is a copyedited version of the Siege of Tarr-Hostigos edited by John and Victoria Carr. Red corrections have been made while black checks mean that they have been fixed in the next draft. Dramatis Personae for the Siege of Tarr-Hostigos and the final corrections on the third galley. This is a late draft the Siege of Tarr-Hostigos edited by Victoria Carr. All marks are done by her. This is the final copy of a Siege of Tarr-Hostigos with some pages missing. Also included is the printing contract for the novel. An edited version of the Siege of Tarr-Hostigos with an unknown editor. This version starts on page 160 and ends on page 286. An unedited version of the Siege of Tarr-Hostigos starting on page 287 and ending a on page labeled 611.